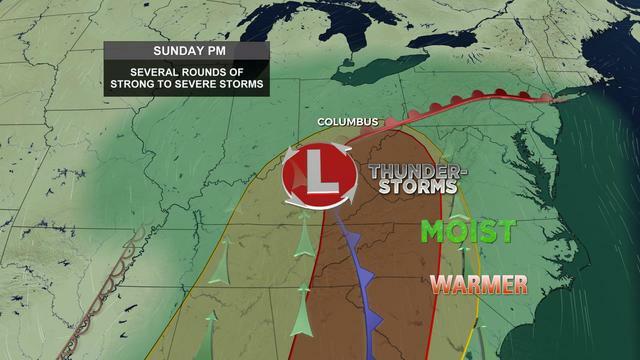 COLUMBUS, Ohio (WCMH) - The National Weather Service has canceled a tornado watch for central and southern Ohio. 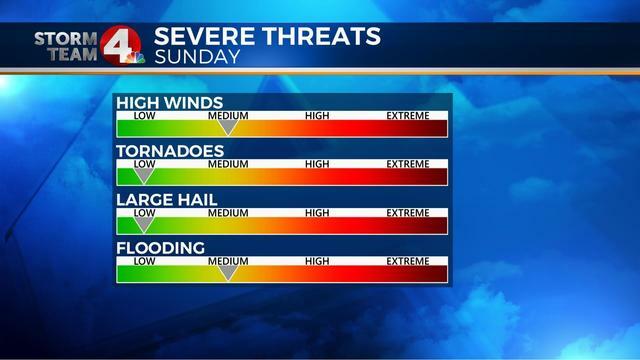 Several rounds of severe storms moved rapidly northeast across Ohio late this afternoon and early evening, accompanied by pockets of damaging wind, hail and heavy downpours. Low pressure traveled northeast across the Buckeye Statewest of the I-71 corridor to Lake Erie this evening. A wind advisory is in effect for central and southern Ohio until 9 p.m. for increasing wind gusts behind a cold front working its way east trailing the storm system. Strong winds aloft supplied ample wind shear, which enhanced lift and caused the air to turn over Ohio, conducive to tornadoes. The other key ingredients were heating and moisture. 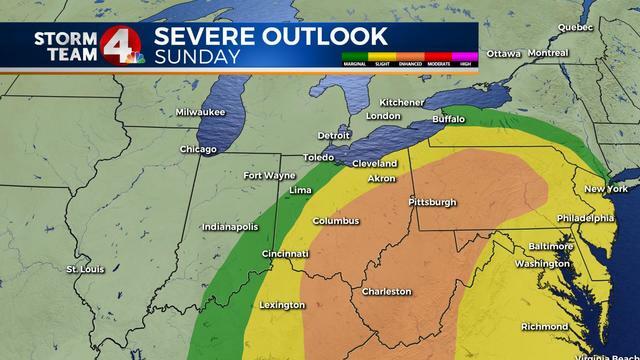 Afternoon temperatures soared to near 80 degrees in central Ohio, sparking multpile bands of strong to severe storms. Low pressure will track off to the northeast of the region late this evening, taking the storm threat into northeastern Ohio and western Pennsylvania. Windy and sharply colder air will be drawn southward in the wake of storm, with rain showers early in the day, possibility mixing with a few snowflakes in the northeastsern part of the state.